A South Carolina woman was charged with assault Sunday night after she was removed from a Delta flight diverted to Bangor, according to police. Judith Rodriquez-Nodine, 44, was on a flight from Atlanta to Stuttgart, Germany, when she allegedly became disorderly and began bothering other passengers, Bangor police spokesman Sgt. Wade Betters said Monday afternoon. Rodriquez-Nodine is scheduled to be arraigned Nov. 21 at the Penobscot Judicial Center. She refused to follow instructions from flight attendants and while interacting with them, Rodriquez-Nodine allegedly assaulted one, according to Betters. 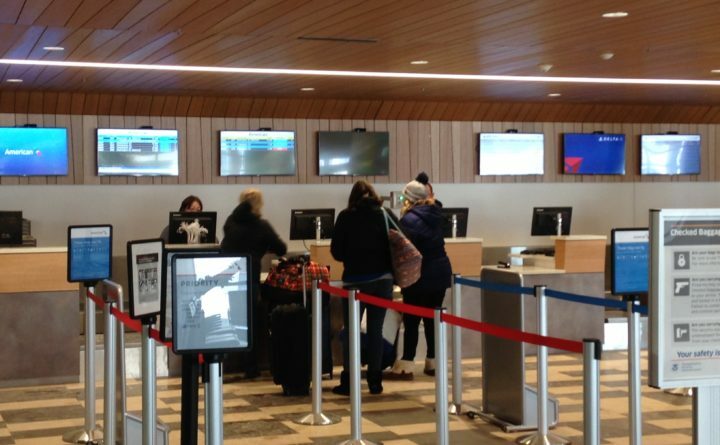 The plane was diverted to Bangor International Airport, where it landed about 9:15 p.m. Rodriquez-Nodine was removed from the flight, taken to a Bangor motel and issued a summons, according to police. The officers who interacted with the woman said she displayed signs of intoxication, Betters said. If convicted, Rodriquez-Nodine faces up to a year in jail and a fine of up to $2,000.